When you wake up, you can’t just wait to see what kind of day you’ll have. This is a practice that I have made a habit of every morning and it has made all the difference in my days. Each morning when I awake, my first thought is “I am SO joyful”. It’s taken some time for me to make that a habit, but I’ve done it and so you can too. That first split second when you are fully awake, you have the ABSOLUTE power to determine your day. Each day when I have decided that I am joyful, my day goes so much better. I deal with people easier, my demeanor is happier and up beat, my day goes by so much simpler and my energy resonates with others. Each morning I “choose happy” and I am blessed for it. You can be as well. Get in the habit of choosing your happy each morning as soon as you wake up. Don’t wait until after all the “noise” interrupts your mind. Do it IMMEDIATELY upon waking. You will notice the difference and impact immediately. 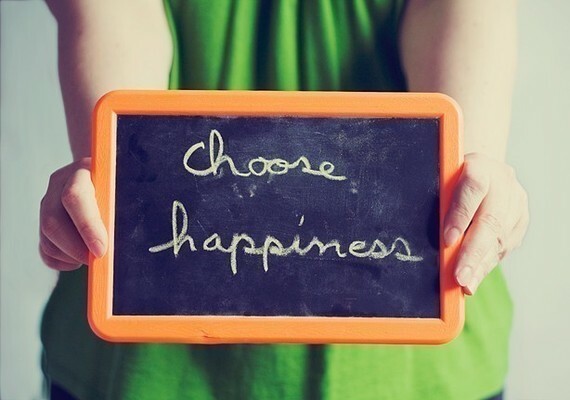 Choose Happy and Happy will choose you! Mental health is also a key for overall happiness. So make decisions that make you happy and feel good about yourself.